These Mommy and Me Date ideas are a great opportunity for each child to spend some special one-on-one time with you. Between busy activity schedules, work, errands and housework, it can be easy to forget to take time to sit back and relax with your children. Having one-on-one time is a great way to spend quality time together having fun and discussing any questions or issues your child may be dealing with. Here are some fun ideas for creating some special memories. 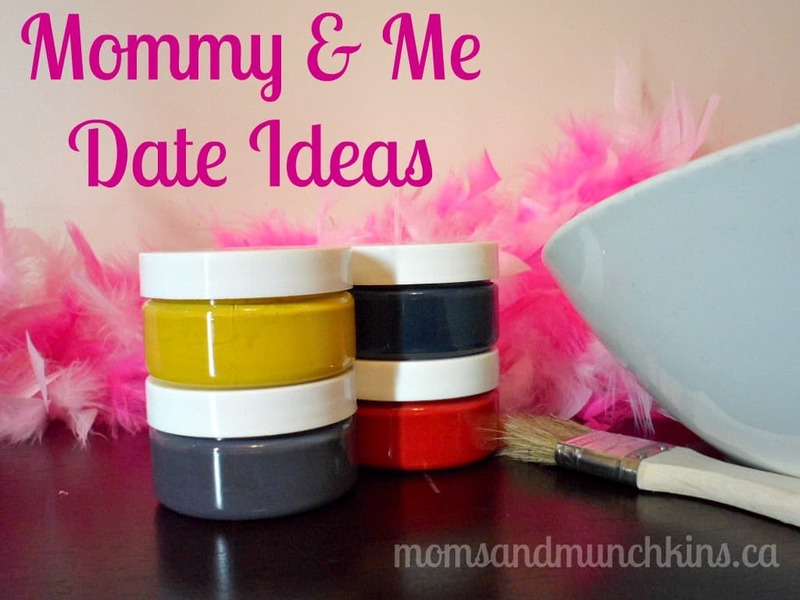 Do you have regular mommy and me date nights? What are your favorite activities? Don’t forget to check out our fun Daddy & Me Date Ideas as well! We’d love to have you join our communities on Facebook, Twitter and Pinterest. See you there! All are lovely ideas for spending quality time together. We love baking, and taking walks to take photographs. those are all great ideas for spending quality time together!